Peter Thurlow, a Newfoundland native, climbing ice over the Atlantic Ocean during low tide in western Newfoundland. 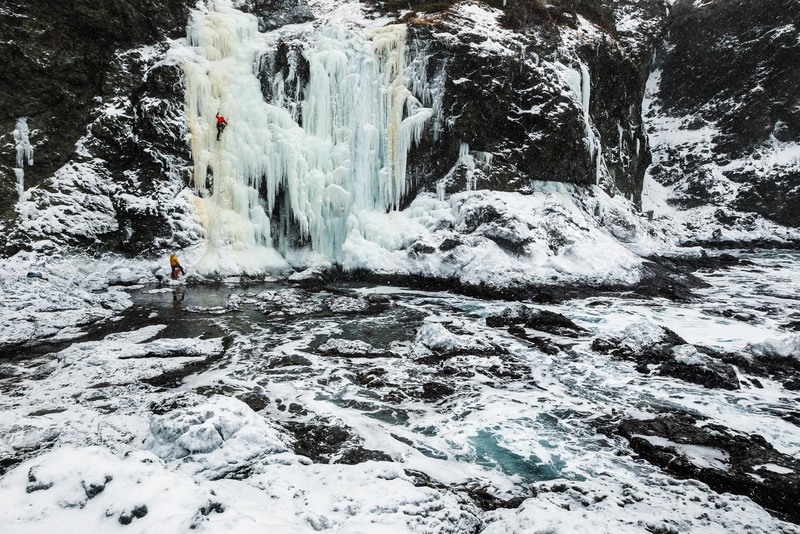 He established these climbs and is one of the only local ice climbers on this part of the island. Stephen Gale is belaying.